A classic! 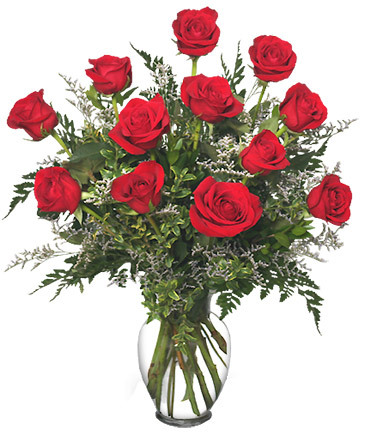 One dozen LONG STEM red roses in a vase with greens & baby's breath FREE SHIPPING in the local Barrie area only. Please call the store for more info. 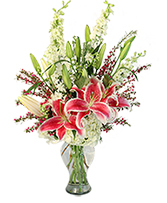 Overview: 12 red roses, long stem, Greens + 2 stems babies breath, Vase, Free shipping, No service fees, Remember that when ordering for a delivery in Barrie, there is NO deliver fee or other fee. FREE DELIVERIES IN BARRIE. 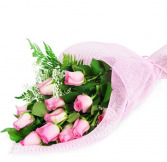 Send one dozen gorgeous long-stemmed pink roses as a classic expression of your enduring affection. She'll be swept off her feet on the most romantic day of the year. One dozen long-stemmed roses arrive beautifully wrapped in pink paper and ribbon.